Asked about structural reforms in India in the past few years, the RBI governor listed the implementation of the GST and the IBC, among others. 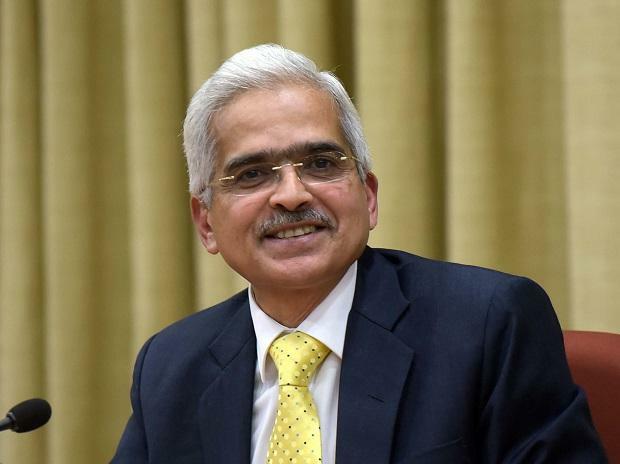 Reserve Bank of India (RBI) Governor Shaktikanta Das has asked central banks across the world to think “out of the box” and suggested, for example, that changing policy rates by 25 basis points (bps) or multiples thereof is “not sacrosanct and just a convention”. He said monetary policy could be well served by calibrating the size of the policy rate to the dynamics of the situation, and the size of the change itself could convey the stance of policy. “If the easing of monetary policy is required but the central bank prefers to be cautious in its accommodation, a 10 bps reduction in the policy rate would perhaps communicate the intent of authorities more clearly than two separate moves – one on the policy rate, wasting 15 bps of valuable rate action to rounding off, and the other on the stance, which, in a sense, binds future policy action to a pre-committed direction,” Das explained, while speaking at the “Governor Talks” programme on the sidelines of the International Monetary Fund (IMF)-World Bank Spring Meetings in Washington. “One major area where reforms are necessary in India — again that is something that lies in the domain of the state government — is agricultural marketing. We have certain laws related to agricultural marketing, which act as impediments in getting private investments in creation of agricultural markets. As a result, the flow of private capital into creating a value chain in agricultural products from the farm to consumers is getting hampered. The laws are in the domain of the state governments and they need to be completely overhauled,” the RBI governor said. Das said India’s average growth rate of 7.5 per cent over the last few years was very good, but the country needed to grow at over 7.5 per cent. “In fact, India needs to grow at about 8 per cent to eliminate poverty. There is still a large number of poor people living in India. There are still many challenges in social and other development sectors. So India needs to grow faster,” he said. “I don’t want to start a debate on what should be the potential growth rate of India, but by and large, let me say 7.5 per cent plus should be the reasonable growth rate that India can expect.” He cautioned that global spillovers of loose monetary policy measures, in the absence of a financial safety net, could be unintentionally forcing emerging market economies (EMEs) to “break out and challenge the hegemony of dominant reserve currencies”. Managing such spillovers, he said, was a formidable challenge for EMEs.